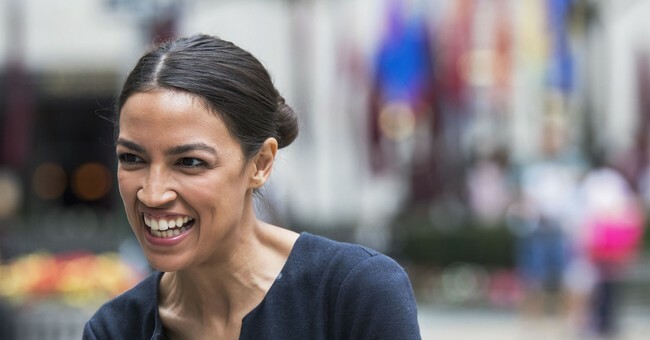 Everyone's favorite Democratic Socialist, Alexandria Ocasio-Cortez, went on a Twitter rant about the caravan full of illegal aliens who are traveling from Central America to the United States. According to Ocasio-Cortez, the people on the caravan aren't illegal aliens. She says they're "refugees" who are wanting to "apply for asylum" in the United States. But if these illegal aliens were wanting asylum and to leave their old life behind them, why are they so determined to get to the United States? Why didn't they take Mexico's offer? Mexican President Enrique Pena Nieto's plan to allow them to seek asylum in Mexico? If those riding the caravan would have taken Mexico up on their offer they would have obtained legal documents, been provided with jobs for adults and school for children. Isn't that what they want, a better future for them and their families? Are journalists who actually cover immigration even writing these stories? These are serious errors w/ major implications. Repeating Trump’s rhetoric without fact-check is completely irresponsible, especially in a time of rising white supremacist violence. 1) We have no way to know if the caravan riders are actually going to file for asylum or if they're going to enter the United States illegally. 2) Again, they say they're going to various ports of entry. We don't know if that will actually take place until they make it to the United States-Mexico border. Why are we supposed to give these people the benefit of the doubt and trust that they're going to do what they say they're going to do? We have no way of knowing for sure what their intentions are. And we know for a fact that not all of them are coming to America to make a better life for themselves.